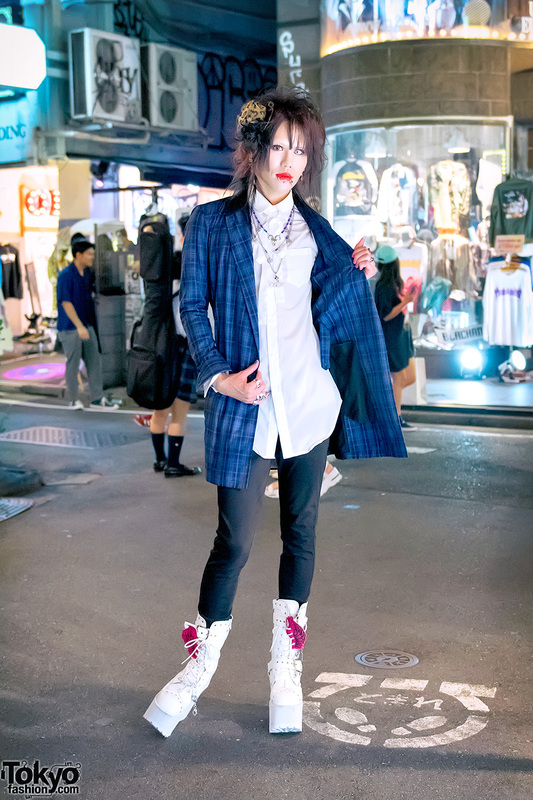 Harajuku guy in dark street style with plaid jacket over button up shirt, skinny jeans, and tall white platform boots. Harajuku duo in A Bathing Ape & Nike sneakers vs H&M and YRU platforms. 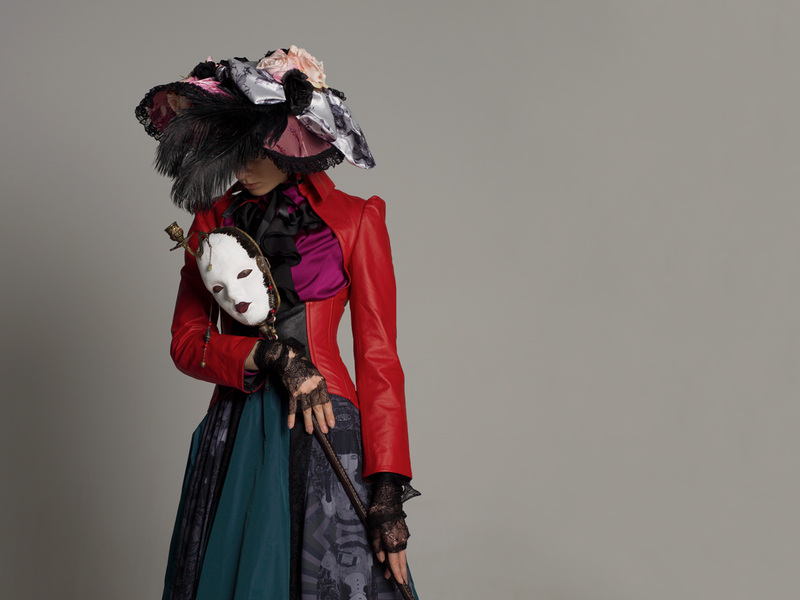 Harajuku duo in dark goth-inspired street style, creepy accessories, and platform shoes. Harajuku girl with long pink twintails wearing a black top, choker, corset skirt, bow shoes, and heart backpack. 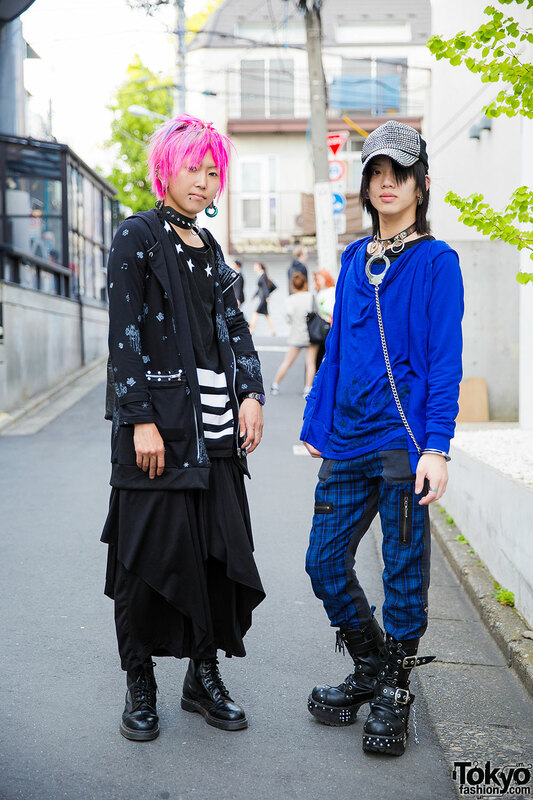 Harajuku guy in studded cap, blue top and pants, heeled boots and black bag vs. Harajuku guy with pink hair, black and white top and skirt, and lace-up boots. Harajuku guy with black and blond hair, makeup, piercings, printed jacket and skirt with platform boots vs. Harajuku girl with mullet hairstyle, piercings, black and white dress and jacket, striped socks and platform heels.